Shropshire is home to a broad range of still and flowing aquatic habitats many of which support breeding populations of Dragonflies. Some local habitats support endangered or near threatened species and are therefore of national importance. The varied aquatic habitats found within our borders are listed below along with those dragonfly species most typically associated with them. Each species list is not exhaustive as many common and widespread species could be listed almost everywhere! Where possible good examples of the different habitat types with public access are also recommended. Further details of these and many other excellent dragonfly sites to visit are found on the sites page. Numerous ponds across Shropshire attract a good number of species many of which are common and widespread. The term ‘pond’ encompasses a huge number of variables such as size, depth, vegetation level, tree shading and altitude to name a few! These will all to some degree affect those species present. Some species for example are found only in acidic waters and a few species with rapidly developing larvae such as Emerald Damselfly and Black Darter are able to exploit shallow pools that are temporary in nature and dry out over summer. These waterbodies have the advantage of being free of predatory fish. Species: Hairy Dragonfly, Migrant Hawker, Southern Hawker, Brown Hawker, Emperor Dragonfly, Black-tailed Skimmer, Broad-bodied Chaser, Four-spotted Chaser, Common Darter, Ruddy Darter, Emerald Damselfly, Azure Damselfly, Common Blue Damselfly, Blue-tailed Damselfly, Large Red Damselfly, Red-eyed Damselfly. A number of rivers flow through the county which are largely divided into two catchment areas; the River Severn (the longest river in Britain) and the River Teme. The River Severn is one of only a few river systems in the UK in which the ‘Near Threatened’ Common Clubtail successfully breeds. The underlying geology, speed of flow and subsequent nature of the river/stream bed will affect those species present. Please note many of the rivers below are categorised as fast and slow flowing due to variations in different parts of the river. 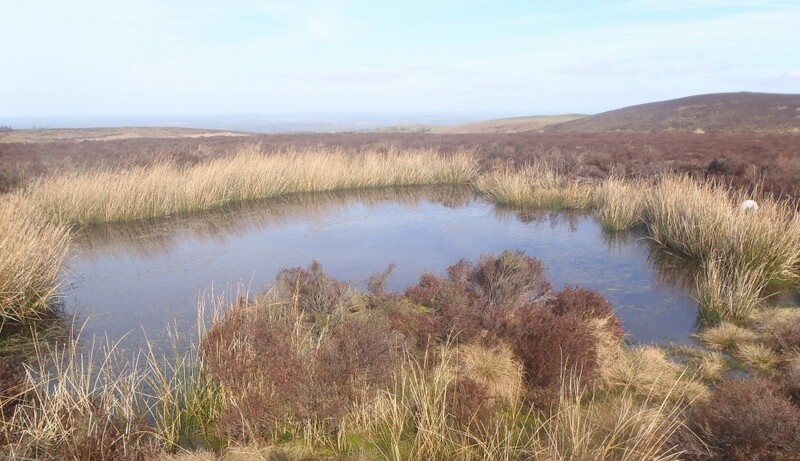 Sites: Wildmoor Pool (streams above pool), Carding Mill Valley, Wyre Forest. Following sites recommended for Beautiful Demoiselle only; River Onny, Cound Brook, River Perry, River Roden, River Clun. Sites: River Tern at Attingham Park, River Severn at Hampton Loade (SO7486), Rea Brook at Shrewsbury, River Teme, River Clun, River Roden, River Perry, Cound Brook, River Onny. These important areas are few and far between and support a good number of species including some specialists found in few other habitats in Shropshire. A number of canals both used and unused branch across Shropshire. Working canal systems tend to have fewer dragonflies as there is little aquatic vegetation and the water is constantly being churned up by tourist traffic. Sites: Montgomery Canal at Aston Locks, around Maesbury Marsh (SJ310249) and the short length at Llanymynech (SJ267211). Prees Branch Canal (Shropshire Wildlife Trust Nature Reserve), Llangollen Canal at Whixall Moss and between Blakemere and Colemere (SJ413340). Stretches of the Ellesmere Canal in the Lower Frankton area (SJ371318) are very good especially the remaining piece of the Weston Lullingfields branch (SJ370311). Parts of the old canal bed running out of Shrewsbury contain water and several species of dragonfly have been recorded here (SJ510146). In parts of Shropshire there are clusters of meres and mosses which are water and peat filled hollows in the glacial drift which covers the Shropshire-Cheshire plain. These are habitats of international importance with regard not only to their geology, but ecology and wildlife too. Many of the meres are now privately owned, but a number remain accessible including the largest The Mere on the eastern side of Ellesmere. Sites: Cole Mere and The Mere at Ellesmere (SJ4034). Fenn’s, Whixall and Bettisfield Mosses National Nature Reserve is one of the most important and best preserved bogs in Britain and is situated in North Shropshire. This site is home to the ‘Endangered’ White-faced Darter and is also the most species rich dragonfly site in Shropshire with 29 recorded species. Other mosses in the area are Wem Moss and Brown Moss which are also both nature reserves. Species: Common Hawker, (Hairy Dragonfly), Four-spotted Chaser, (Keeled Skimmer), Black Darter, White-faced Darter, (Yellow-winged Darter), Large Red Damselfly, Emerald Damselfly and many more common and widespread species! A range of quarries are found in Shropshire including sand and gravel, limestone and roadstone. In the south of the county historically some areas such as Titterstone Clee Hill were quite industrialised with coal mines and blast furnaces producing iron and then in subsequent year, quarrying of the local dhustone took over. Once a quarry falls into disuse it soon fills with water and as a result we have some excellent sites where dragonflies have become established in this new habitat. 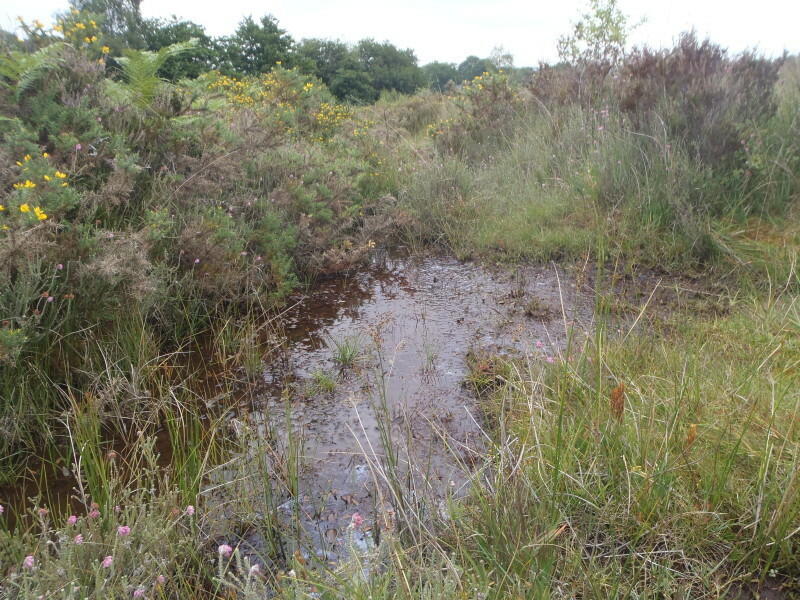 As with ponds, a huge number of variables affect the species found at a particular quarry, not least how far succession has proceeded following closure. Below are listed typical pioneer species (those first to colonise a new site) along with some unusual species found at Shropshire quarry sites. Species: Emperor Dragonfly, Broad-bodied Chaser, Black-tailed Skimmer, Red-veined Darter, Scarce Blue-tailed Damselfly.